Rung by a resident band on the society’s dinner day. 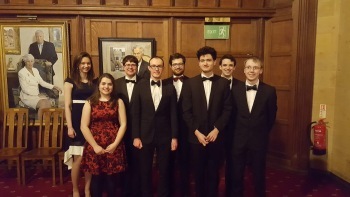 This performance is linked to the event Oxford University Society — OUSCR Dinner Weekend. The band, clockwise from front-right. First submitted Saturday, 2 February 2019 at 12:17:55 by Cameron A Waters. 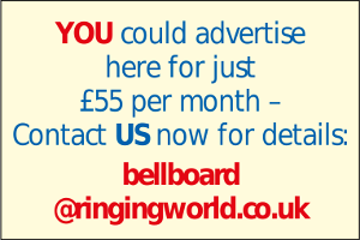 Sent for publication in The Ringing World on Monday, 11 March 2019 at 18:23:13, and printed in issue 5631, page 309.